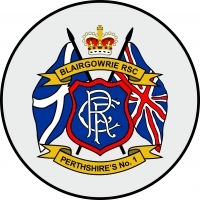 The Blairgowrie Rangers Supporters Club and the Donald Cargill Memorial LOL, are once again taking Howes Shop in Blairgowrie for a week from Friday the 29th of March. To ensure it’s success, we need the following help. Transportation of goods to the shop from the lock up and other locations on Friday 29th after 4.30pm. 2. Assistance setting up the shop on Friday 29th after 4.30pm. 3. People to staff the shop during opening hours. This is even if you can only manage a few hours. 4. Donations of unwanted clothing (no underwear), furniture, toys, general goods and bric a brac. The planned shop opening hours are as follows. Friday – Not open to public but setting up from 4.30pm until we are finished.